Charolais bulls sold to a top of 6,000gns in Borderway Mart, Carlisle on Friday 18 November at the breed society’s sale. 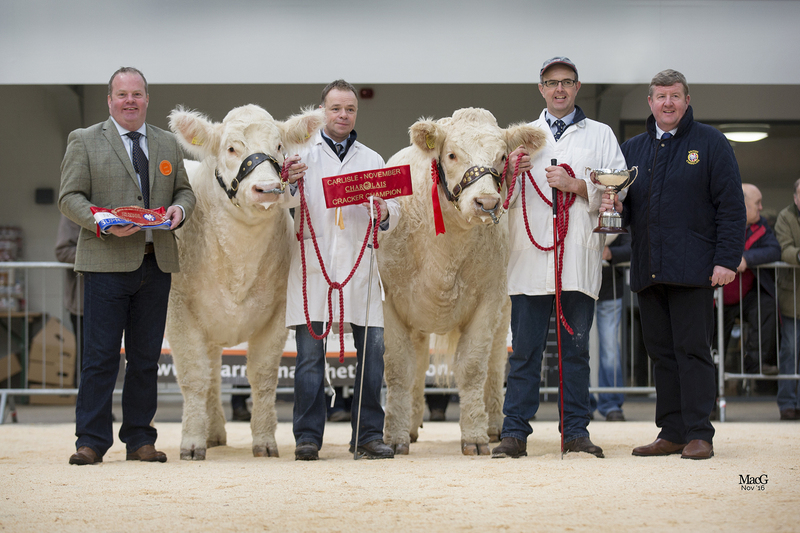 Leader at 6,000gns was the reserve male champion, Vexour Lennon, a 19 month old by Thrunton Glencoe and out of a Vexour bred dam. 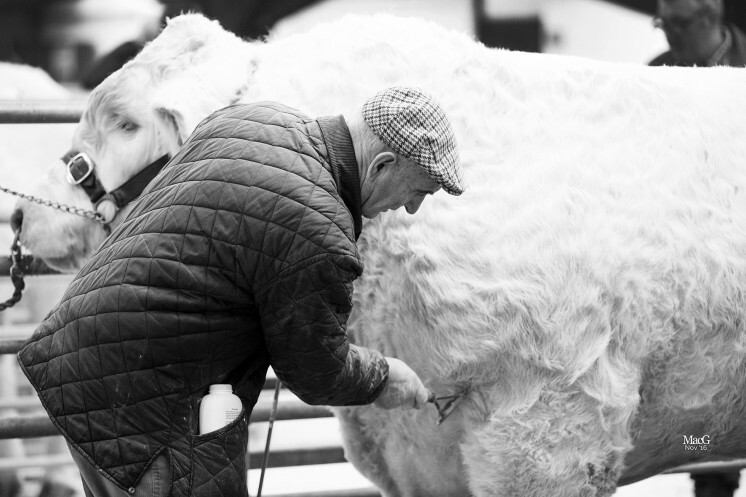 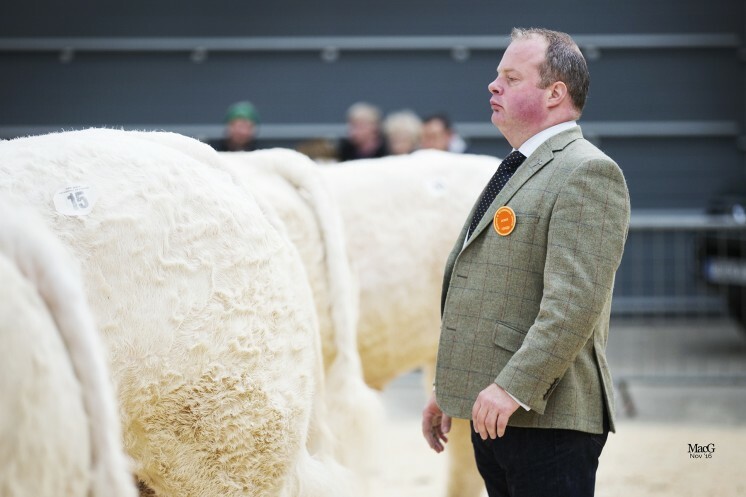 Bred and exhibited by Jan Boormaars, Woldingham, Surrey, he sold to DG and JD Walker, Sanquhar, Dumfriesshire. 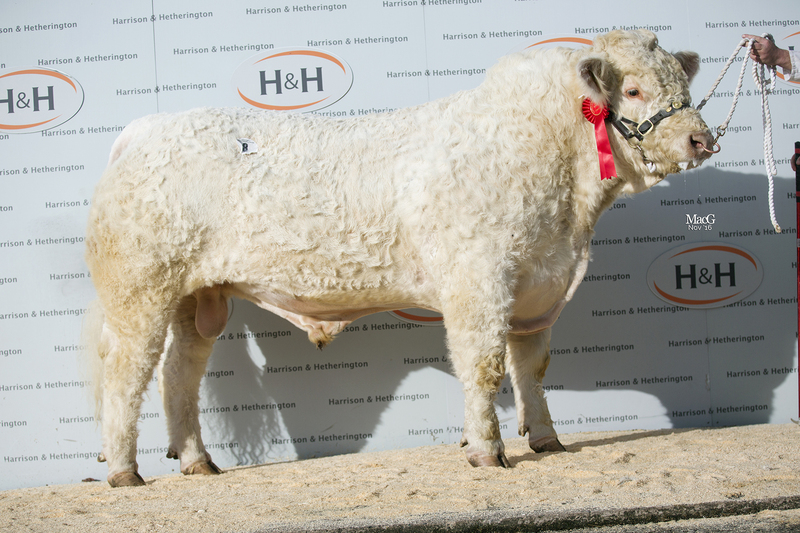 Next at 4,800gns was first prize class winner, Charbron Lordlier, a 21 month old by the 70,000gns Barnsford Ferny, from Barons Cross Charlolais Stud, Aymstrey, Leominster. 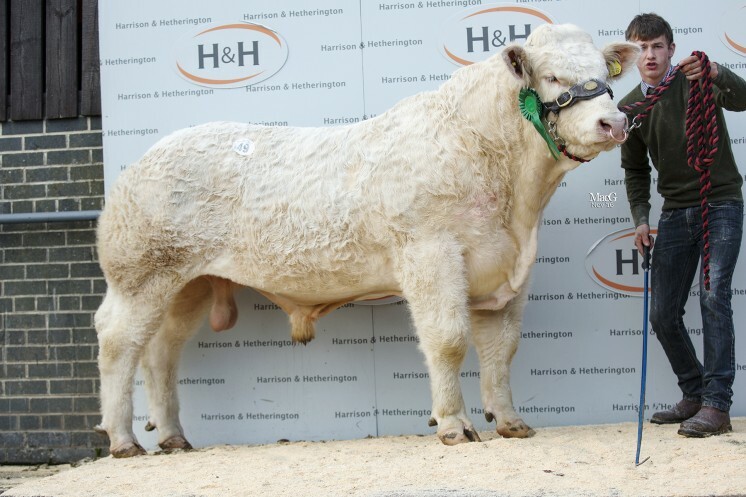 The buyer was PL Heard, Okehampton, Devon who secured three more male entries including at 4,000gns Shankfoot Leader an 18 month old by the 31,000gns Whitecliffe Highlight from JRG and RM Johnson, Hexham, Northumberland. Whitecliffe Limelight, another Highlight son, this time offered by his breeders, M and J Hayhurst, Malton, North Yorkshire commanded a 4,500gns bid from A Hall and Son, Hexham, Northumberland. 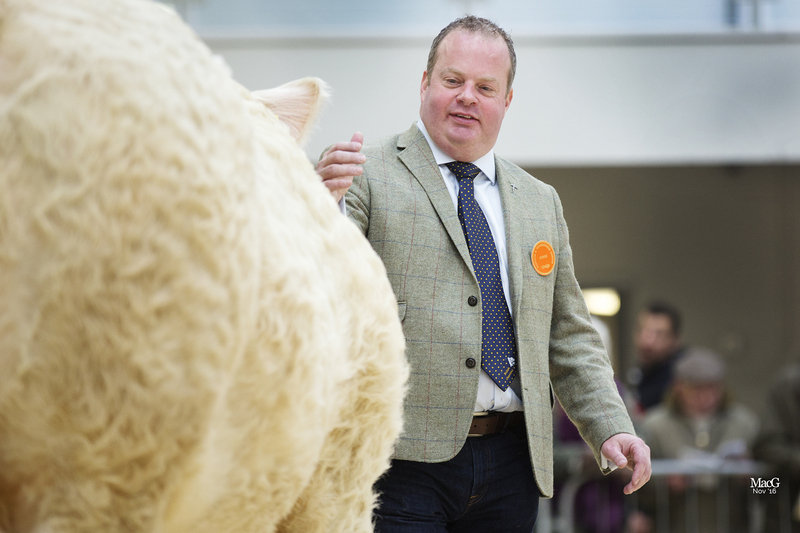 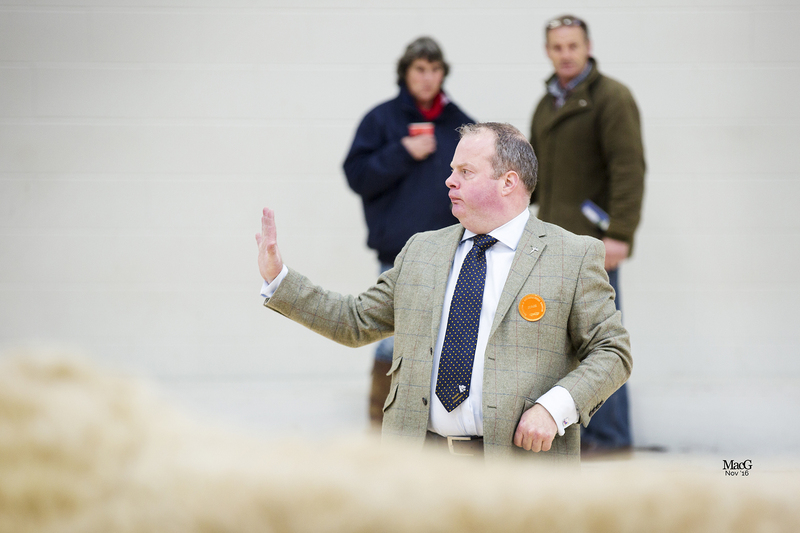 A bid of 4,000gns secured the 15 month old Crookdake Lightning for P Smith and Son, Biggar, Lanarkshire. 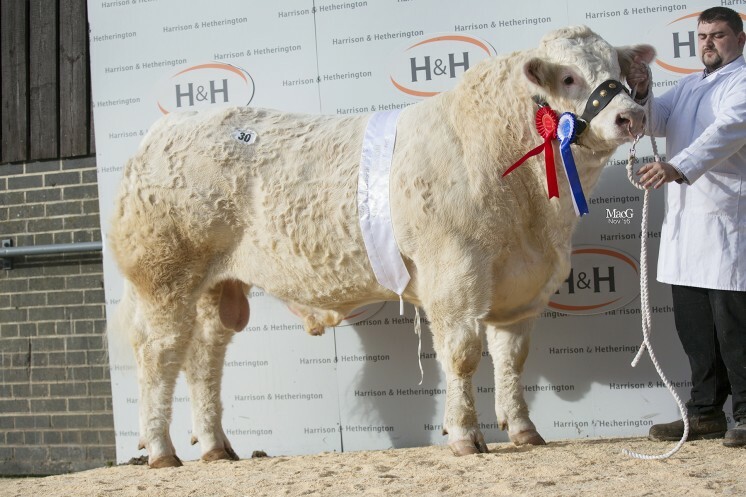 Sired by Balthayock Hamish, Lightning was bred and exhibited by DA and SM Miller, Wigton, Cumbria. 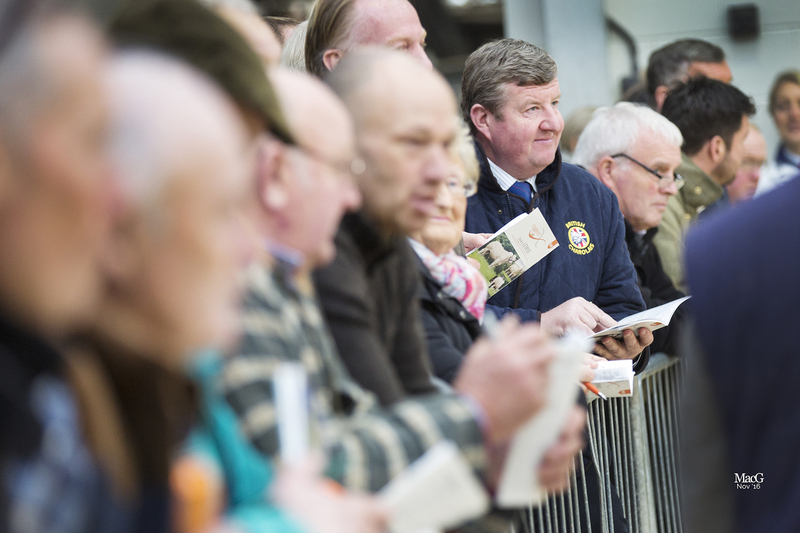 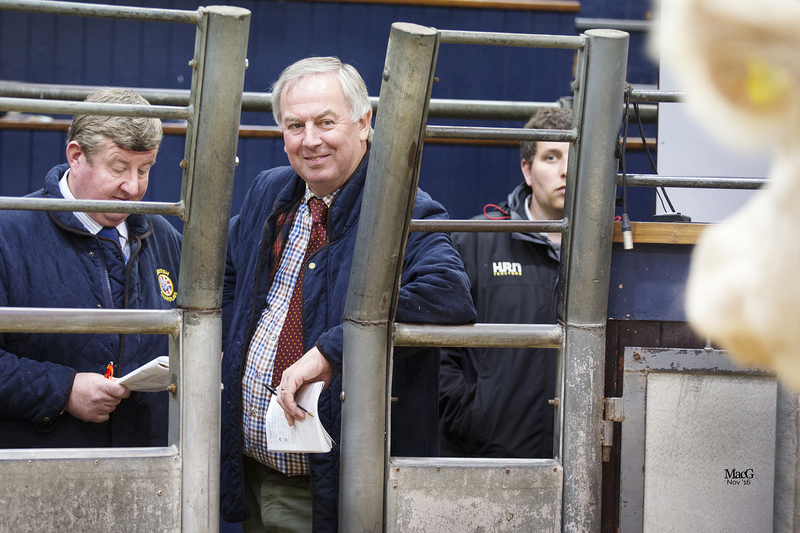 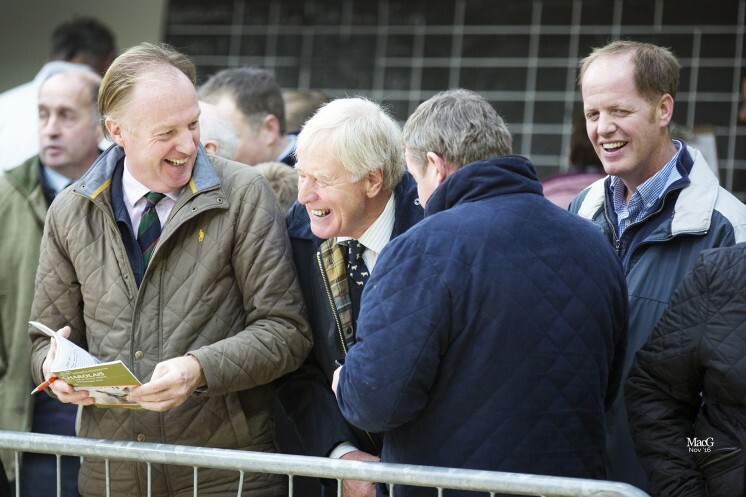 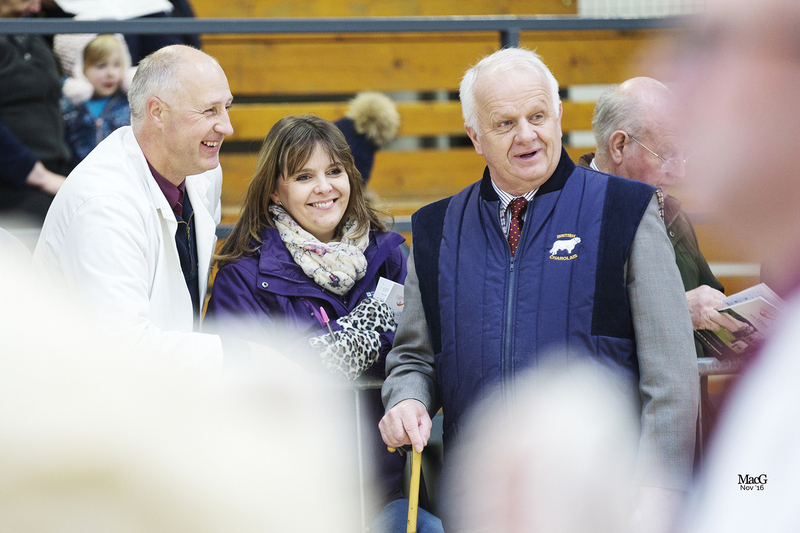 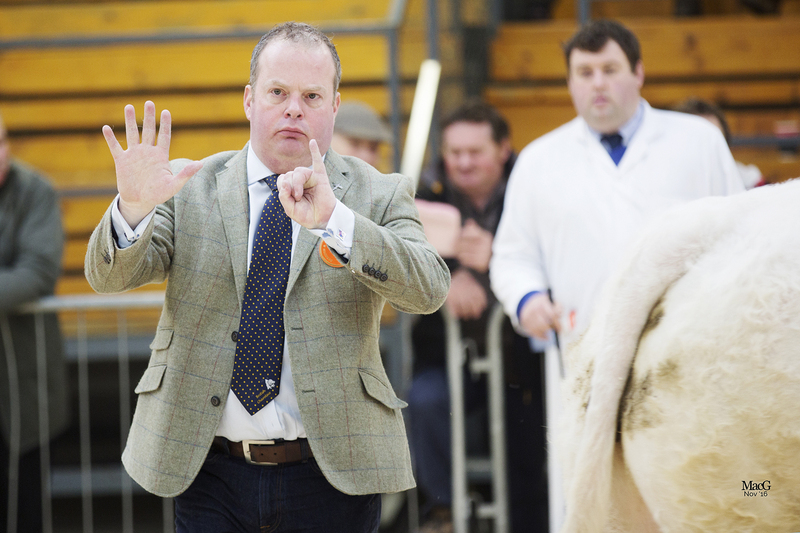 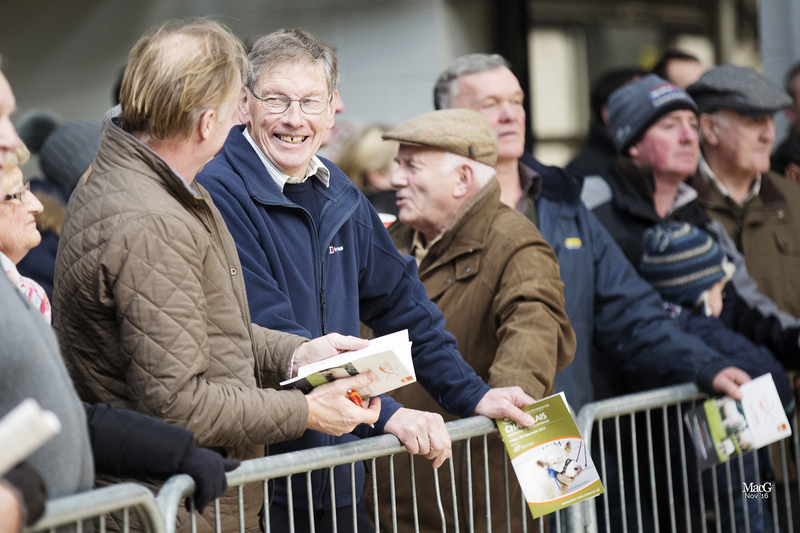 DG and JD Walker, Sanquhar were in the money again when they secured the highest price unhaltered heifer at 2,800gns. 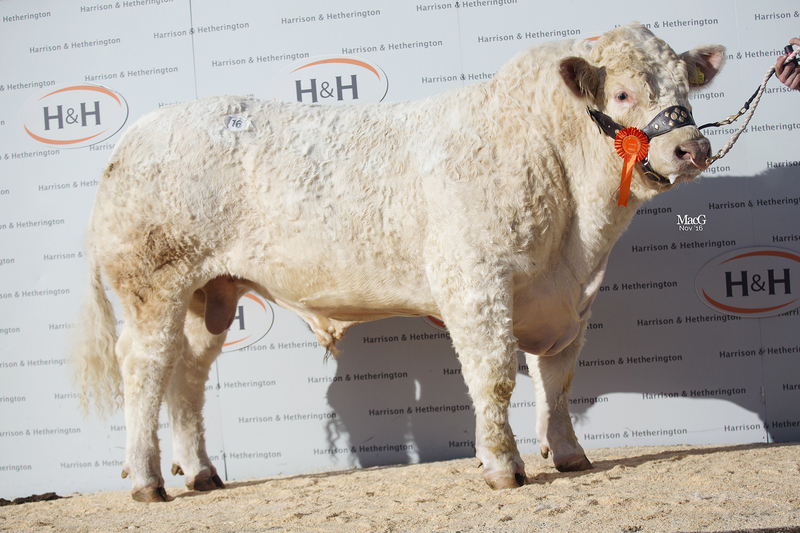 Gretnahouse Lallesse was a 17 month old by the 12,000gns Wesley Equinox from Alasdair Houston, Gretna Green, Dumfriesshire. 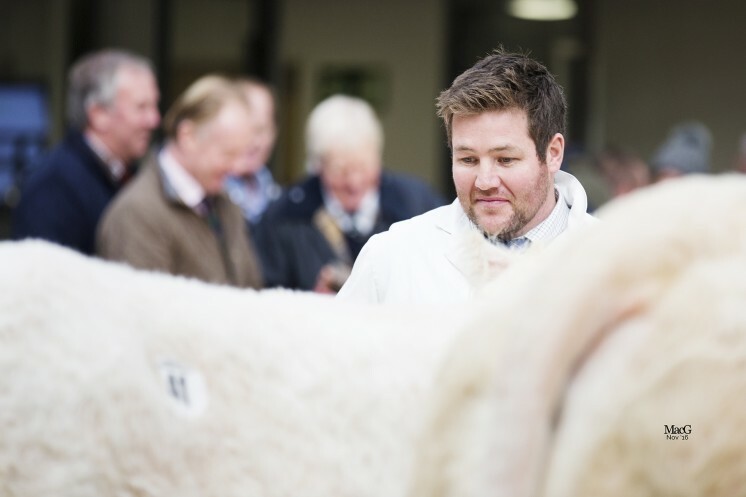 Logan Dulcie, an eight-year-old by Logan Amazon attracted a 4,800gns bid from DT Daniel, Launceston, Cornwall and led a major reduction from WL Hyslop and Sons, Castle Douglas, Kirkcudbrightshire. 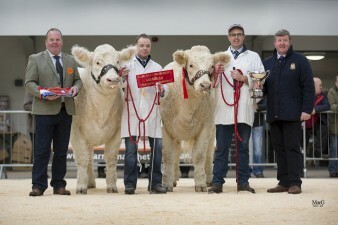 Dulcie was sold with Logan Millie and Logan Maisie, her seven month old, Blelack Digger sired twin heifers. 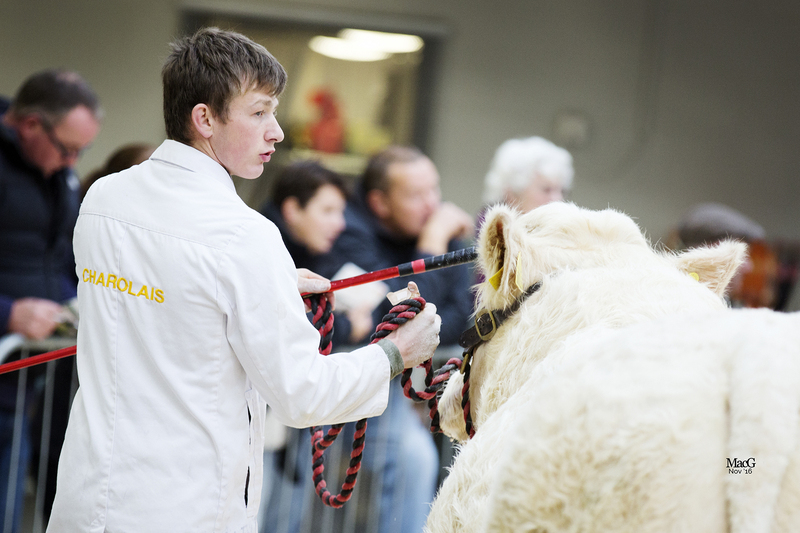 Next at 3,200gns was five-year-old Logan Glitter to AW McArthur, Balfron, Stirling. Sired by the 25,000gns Goldies Unbeatable, she was offered with her six-month old bull calf, Logan Maximus by Logan Independent. A draft from T Nesbitt and Son, Darlington, County Durham was headed at 3,300gns by Alwent Custom, a nine-year-old by Alwent Vougeot and sold with her six-month old heifer, Alwent Madonna by Simontorp Impala. 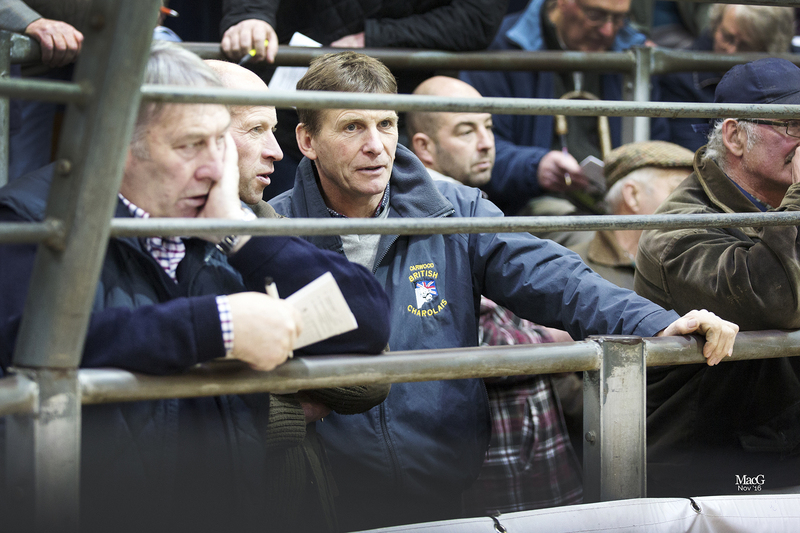 The buyer was Glyn Owen, Llandrindod Wells, Powys. Next at 2,200gns was the Jumper sired six-year-old Alwent Faberge and her seven-month old bull, Alwent Meissen by Unico. 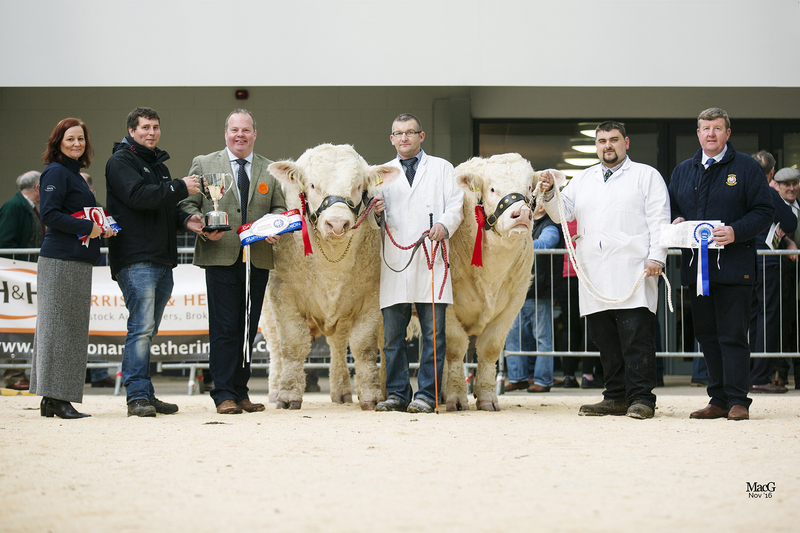 The pair went home with DT Daniel, Launceston, Cornwall. 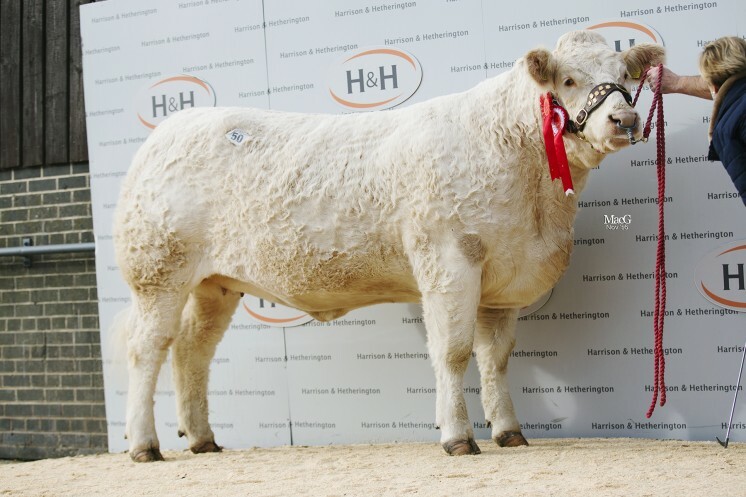 Another Jumper daughter and second calver, Alwent Gaga together with her heifer calf, Alwent Minerva attracted a 2,100gns bid from TJ Ball, Darlington, County Durham who went on to secure five more entries. Charbron Luxuriant, a 19-month old heifer by Goldies Unbeatable made 2,300gns to JR Germany, Coltishall, Norfolk and headed the Charbron reduction sale for Barons Cross Charolais Stud. 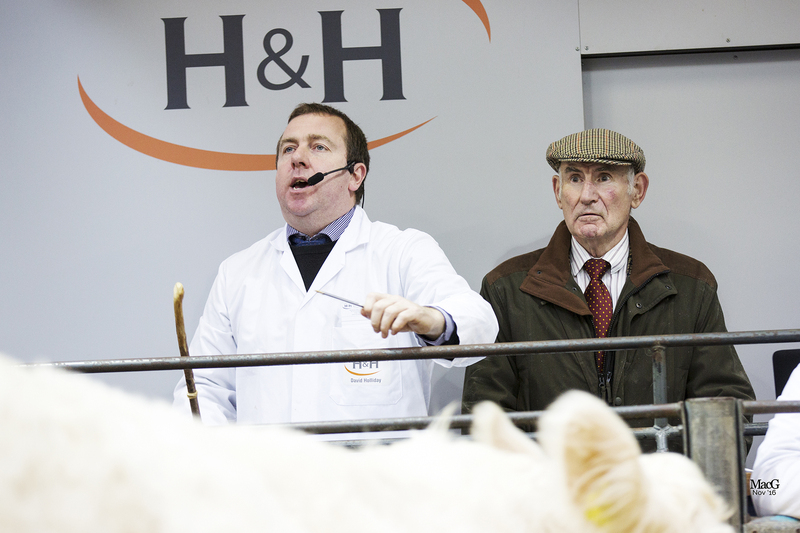 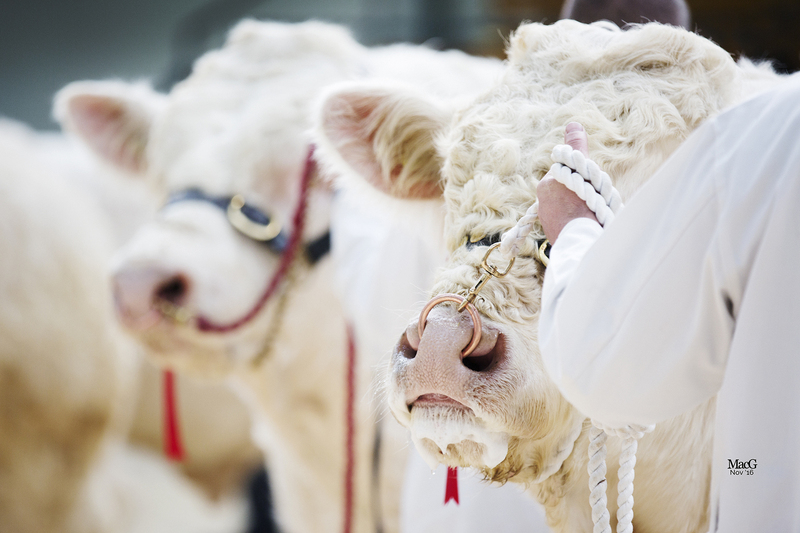 Averages: 18 bulls £3,456.19; 5 Christmas Cracker females £2,268.00; 4 unhaltered females £1,863.75. 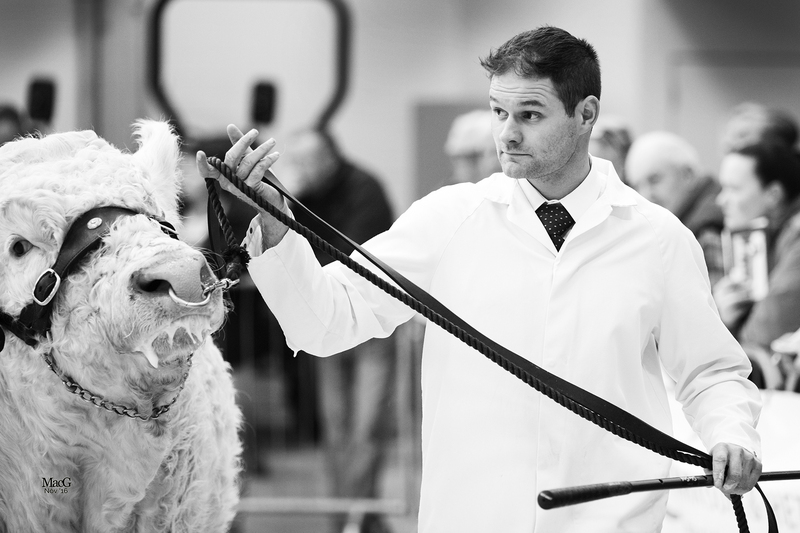 Logan:11 females £2,539.09; Charbron: 4 females £2,100.00; Alwent: 10 females £1,769.25.